Kuwait-2010 Kuwait Oil Industry. 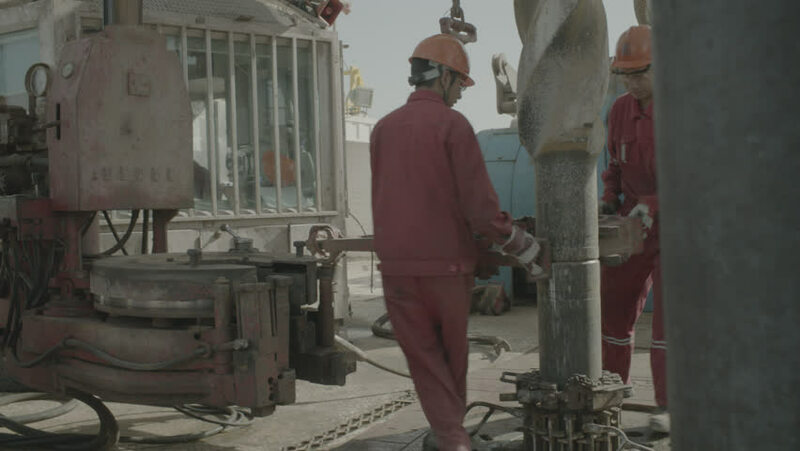 A group of Asian oil riggers place a heavy clamp on a shaft on an oil rig in the desert. hd00:16SALT LAKE CITY JULY 9 2009: Historic blacksmith shop working on hot steel in Salt Lake City. Hot fire forge, steel tools and anvil in a dark buildings with windows. This is the Place Historic Village. 4k00:09Adult locksmith in glasses cutting wooden board by plunge router. Treatment. Sawdust. Manufacturer. 4k00:19New Delhi, India - May 27, 2016: A woman is cutting watermelon in her home kitchen. hd00:15KATANNING, AUSTRALIA - OCTOBER 2014: Tracking shot of a shearer collecting a sheep from it's pen, ready to shear it.